HydroNIX Water Technology is the manufacturer and service provider of Water Treatment Plants, Domestic & Commercial Reverse Osmosis Systems, Water Filters, Water Softener, Chemicals, and Swimming Pool Equipments. We would like to introduce ourselves as the Water Treatment & Engineering Services Organization in Lahore, Pakistan. We are involved since 1994 in all types of business related to water & wastewater treatment and management. It is an established fact that the supply of safe & clean water has become a problem all over the world especially in Pakistan. 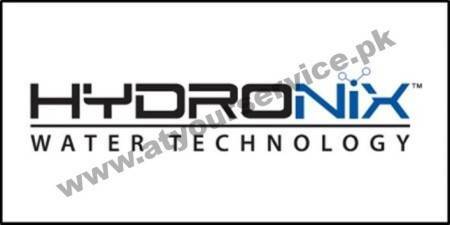 This is the reason that "HydroNIX Water Technology" offers a standard line of products developed for a specific application or built to meet a given specification for that purpose over a period of a decade. The company's responsible engineering and designing services are a key part of its success. We assure you of our best professional services and co-operation.